At QDQMedia the engineering team is composed of multiple teams, each team has created its own workflow based on the type of work, experience and comfort. Today I will talk about the flow that we have created to ship our code from dev to production on our team. This will be the first article, but not the only one about this flow, we will talk about workflow and architecture, so in this very first post we will see a high level overview and in the next ones we'll put an eye on each of the pieces giving a low level overview, so lets start. Having this in mind, when we make a decision we know that the project stack needs to be abstracted and think as a generic project. We use Git as our VCS. This is important as we will explain later. The technology used to manage our repositories is Gitlab. 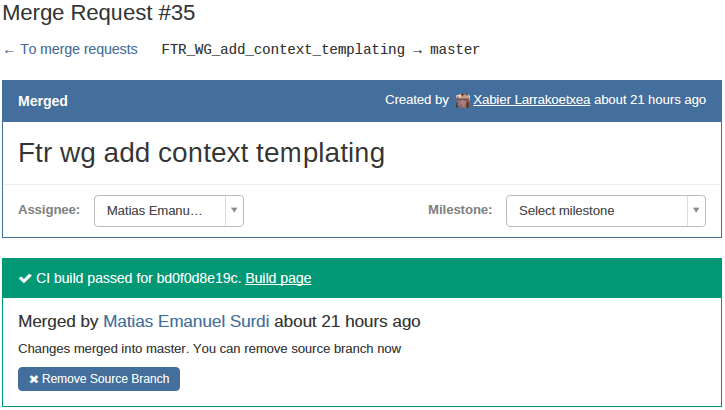 The very first thing that we do is creating a Git repository on Gitlab, well... before we do this this we need to select a name for the project, and that's a task that takes a lot of time! Now we are ready to clone and start coding. Knowing that each developer has his own environment (although all are unix-like based and almost everyone uses GNU/Linux) we need a way to have the same environment on all the developers computers. To manage this we have created a standard project environment. Each project needs to have a dev, ci, prod ready environment. Pre and beta are optional but at least one of these has to be prepared. Easy to understand and apply! Each developer starts coding the feature/fix in a new branch where the code will be pushed until the developer decides that the code is ready. Each time the code is pushed to git (regardless of the branch), Gitlab triggers a build to the CI environment. 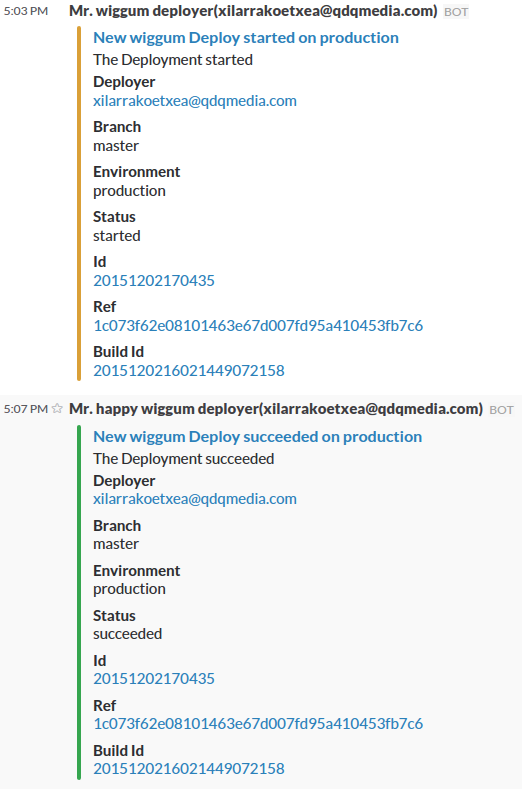 In our case our CI system is GitlabCI, Gitlab is configured with a webhook to trigger a build on each pushed code. At this moment the ci environment of each project starts running, as we said with the dev environment, we will explain in depth in another post, but all the ci systems are based on docker so we abstract the stack of each project. When all this steps are executed correctly we can ensure that a deploy package is ready in our deploy package repository. At this stage we could deploy to preproduction or beta. 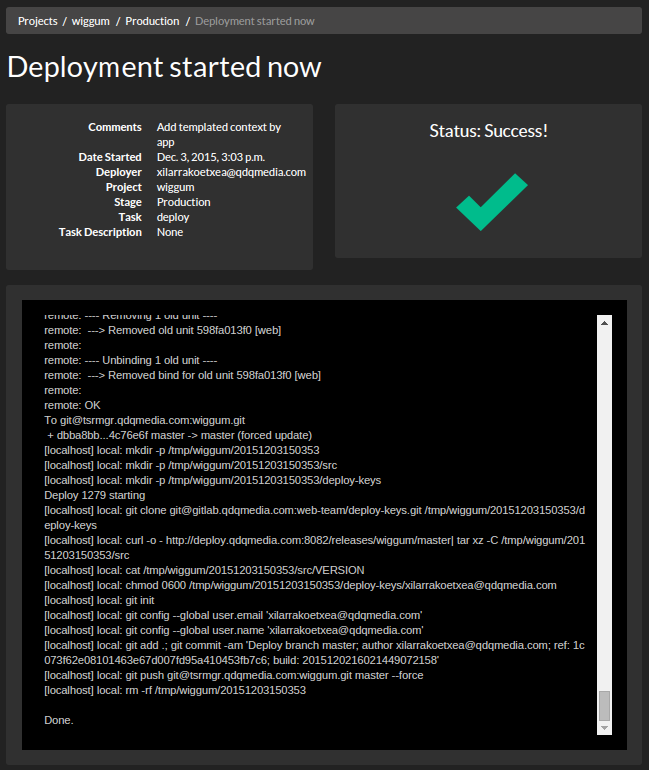 Some of our projects have automated the deployment to beta or preproduction if the test are passed. When the developer has tested the branch, and decides that the code is ready for production, he/she makes a pull request from our gitlab platform so another developer takes the pull request and reviews the code. If the reviewer is happy then merges to the master branch (the stable and production one). When the merge is made a build is triggered automatically. At this point two things can happen, a good build or a bad build. If a good build occurs then the code can be shipped. If the build fails, the developer needs to fix the master branch (fixing the problem or reverting the merge) but the master branch can't be in a broken state. Before the code review, we deploy to test on our Beta or Preproduction environments and also when the code is ready to be shipped, we do it multiple times every day, releasing often is a good thing! In Fabric bolt we have configured all the application environments (production, beta, preproduction...) so we can deploy fast to any environment. When we deploy, everyone knows that someone is deploying something, the developers and ops people only have to subscribe to our deployment slack channel. Finally our code is shipped! From the beginning we wanted an easy and automated flow, we are lucky to have tools that allow us to do this, without them it would be impossible. We have a lot to improve, but we see improvements every day and think that we are in the right direction.